This provides an on-screen pattern editor that allows cutting patterns which have been optimised or imported to be manually adjusted and sequenced prior to being download to the saw. Regular patterns can be stored in a pattern library for future use. Manual patterns can be added where specific part arrangements are required, and define pattern templates for grain matched parts. Patterns can be imported from other software packages using the pattern import feature. Supported pattern formats (Cut Planner, MSS/Keytrix, Giben Optisave - AC & AD files, Giben Optisave - AC file only and PTX pattern exchange file format (ASCII/ Unicode and MDB formats). Allows offcut areas to be changed into common part sizes or strip widths. New parts may be added, including full part information, or 'plus' parts may be pulled from the part library. Waste percentages, totals, part costs and the off-cut summary are all regenerated after amendments have been made. Reorganise production to meet demand. Pattern amendment allows for all of those last minute changes. 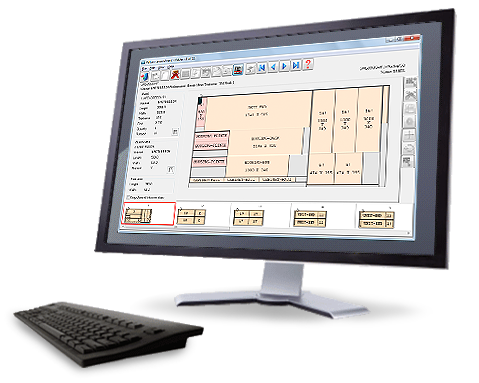 With the straight forward interface parts can be added and deleted with ease and pattern order re-arranged to meet demand.